Bongil Bongil National Park embraces programs dedicated to preserving vulnerable, threatened and endangered species, and involves the community in efforts to maintain its biodiversity. Volunteer programs take place in this park and include surveying vulnerable species, such as koalas. Efforts to minimise threats to such plant, animal and bird species are ongoing. Pests and weeds have a significant impact on the ecosystems within Bongil Bongil National Park. Pest reduction of foxes is an important part of the work NPWS does to protect the integrity of biodiversity within the park. Risk assessments for new and emerging weeds are carried out as an ongoing initiative in the area. Wild dogs can have significant impacts on other animals and are regarded as pests. Our wild dog control program operates in many NSW national parks and reserves. When carrying out wild dog pest control, we aim to minimise the impact that they have on livestock and domestic pets, while maintaining dingo conservation in key areas. NPWS is dedicated to providing outstanding facilities and experiences for visitors to all NSW national parks. Amenities in Bongil Bongil National Park, including tourist accommodation, receive ongoing management and maintenance. NSW is one of the most bushfire prone areas in the world as a result of our climate, weather systems, vegetation and the rugged terrain. NPWS is committed to maintaining natural and cultural heritage values and minimising the likelihood and impact of bushfires via a strategic program of fire research, fire planning, hazard reduction, highly trained rapid response firefighting crews and community alerts. Bushfires are inevitable across fire-prone vegetation types within NSW national parks. NPWS prepares for wildfires by working with other fire agencies, reserve neighbours and the community to ensure protection of life, property and biodiversity. Every park has its own fire management strategy, devised in consultation with partner fire authorities and the community to plan and prioritise fire management. Do you live near Bongil Bongil National Park and want to volunteer to help protect the area’s endangered tern? 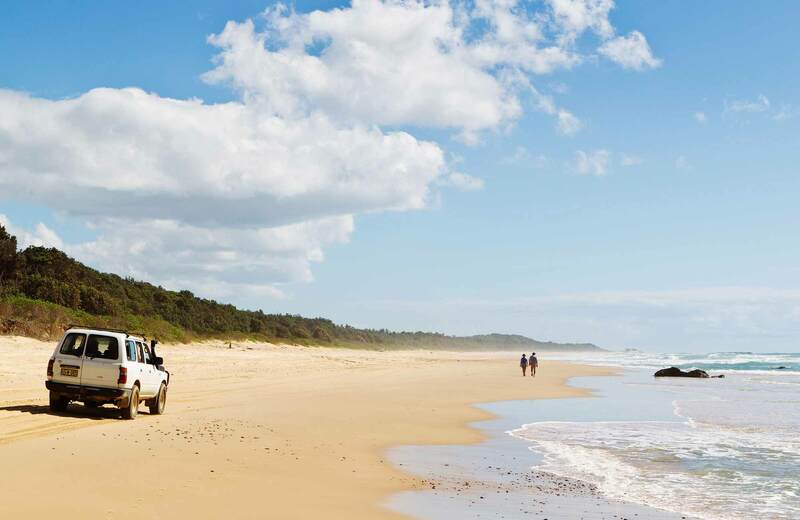 Success at Bongil Spit, in northern NSW, relies on the work of NSW National Parks staff and volunteers to continue to protect the endangered tern.